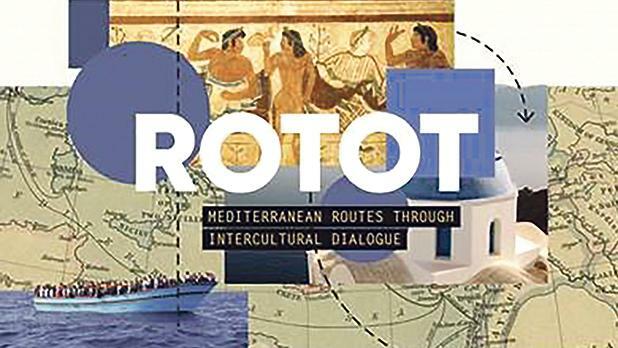 A seminar organised by cultural association Inizjamed, entitled ‘Rotot – Mediterranean routes through intercultural dialogue’, aims to address how different local realities can be brought together to reflect a wider, more common Mediterranean reality. The aspect of the Phoenicians being a sort of mythical, legendary archetype of common Mediterranean roots which, however, still inspires many cultural operators in seeking exchange through intercultural dialogue as opposed to neocolonial and neoliberal economic measures, will provide a framework to which all the speakers at this seminar can relate to. This is so because they either address this aspect through their work or in a way act as contemporary Phoenicians, so to speak. Mario Gerada will chair the seminar, while speakers will include Antonio Barone (director, The Phoenicians’ Route, Cultural Route of the Council of Europe, Salinunte, Sicily), Rachid Chamoun (director, Lebanese American University – Louis Cardahi Foundation, Byblos), Osama Hamdan (Jericho Mosaic Centre, Palestine) and Noureddine Ezarraf (multidisciplinary artist from Morocco). Dr Barone is an expert in cultural and rural tourism. Since 2003 he has directed the Phoenicians’ Route, an international cultural route of Mediterranean intercultural diagloue that belongs to the Council of Europe Routes Programme. Dr Chamoun has been the director of the School of Architecture and Design and the chair of the Department of Architecture at the Lebanese-American University. He is the founding director of the Urban Planning Institute and the current director of the LAU-Louis Cardahi Foundation. Mr Ezarraf is a multidisciplinary artist who works between Aghmat and Marrakesh in Morocco. He studied economics and management and went on to develop a cultural action platform addressing rural realities. Mr Gerada has a degree in social work and worked in the fields of child protection and drug addiction. He worked in the fields of development and migration focusing on policy analysis, campaigning and project coordination in a range of areas, including Aidwatch, development education and refugee rights. Mr Hamdan specialises in cultural heritage conservation and has directed several conservation projects in Palestine, Jordan and Syria. The seminar will take place on Wednesday at 6pm at the Malta Society of Arts, Palazzo De La Salle, Republic Street, Valletta, and is free of charge. Proceedings will be in English. The event is supported by the Centre for the Study and Practice of Conflict Resolution, the Department of International Relations, the Department of Maltese and the Institute for Tourism, Travel and Culture at the University of Malta, Heritage Malta, the ADRC Trust and the Strickland Foundation.